Bill has a background in the humanities as well as in photography, and has traveled widely with his 35mm Pentax to indulge his passion for the Italian culture and people. He's a member of the Maryland Federation of Arts, the Creative Alliance and the Italian Cultural Society. 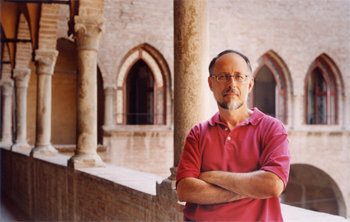 His work has been exhibited in Baltimore, Washington, and New York area galleries, art exhibits and at the Consulate of Italy. He has contributed his photographs and printing services to benefit the Center for Poverty Solutions, the Frederick Arts Council Fundraiser and the Quiet Waters Arts Festival. Bill's 20-year experience in the commercial photography field has allowed him to complete full-cycle the creative process in getting an image from its inception to the printing/framing stage. In these days of digital imaging and electronic media, Bill chooses to personally print his images in order to maintain full control of quality and purpose.